Black Milk is signed to rap legend Nas’ record label Mass Appeal Records, and broke through as one of hip hops most exciting producers after his work on Slum Village’s records. In addition to Slum Village, Black Milk has quite the portfolio of his own solo releases showcasing his talents as a rapper and lyricist as well as a producer. Since breaking through, Black Milk has worked with the likes of other artists and producers including J. Dilla, Danny Brown, RZA, Black Thought (The Roots), and Pharoahe Monch. The Black Hole Sun EP will be a joint release out on Remi and Sensible J’s record label House of Beige (REMI, Man Made Mountain, Cool Out Sun), and Sydney based label Low Key Source (Raiza Biza, Vida Sunshyne, Ladi6). 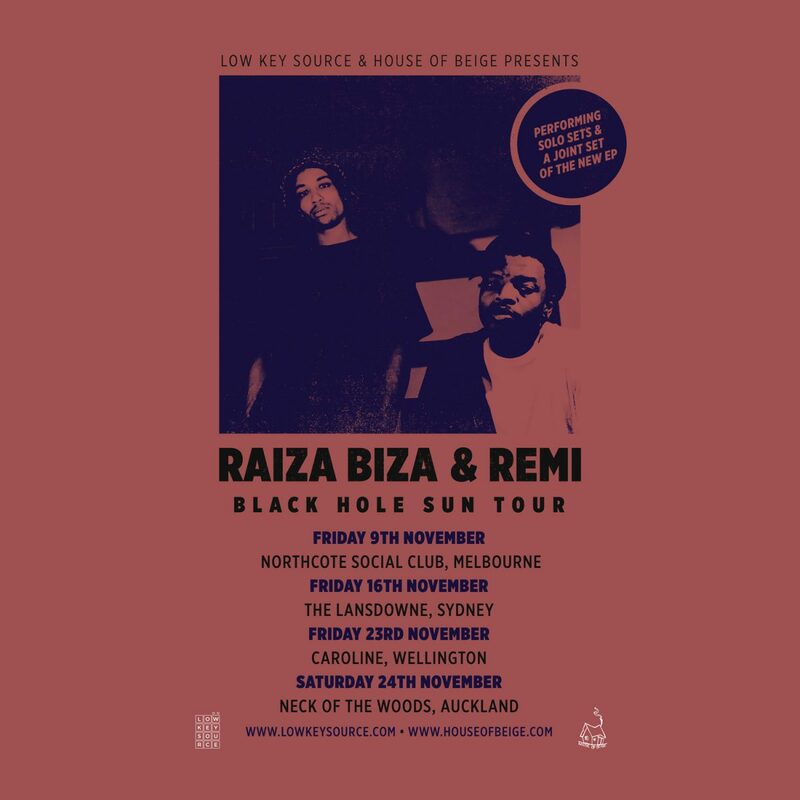 To celebrate the EP’s release, Remi and Raiza have announced a small run of shows to take place in Melbourne, Sydney, Auckland and Wellington where the EP will be performed in it’s entirety, as well as sets consisting of material from REMI and Raiza Biza’s solo careers. Be sure to expect some familiar faces and friends by way of support acts and guests across the run of shows.